Most of us would agree that when the Moku Bunshin was introduced, it was a useless tech but it had the nice perk of lasting a long time, forest fight after forest fight. Now I notice it only lasts for 1 forest fight, disappearing at the end of the fight. However it does not seem to do ANYTHING! It does not attack the enemy nor does it protect you from harm. Actually you would not even know if it was summoned, because there's no indication of such. It does not appear anywhere in the fight and there's no notification tell you it was summoned. You see however the Moku Bunshin HP bar on your status and the notification at the end, saying "The clone returns to wood" (Btw, 'returns' is spelled wrong). If this 4 chakra move (if Mokuton is maxed and Mokuton Hijitsu: Jukai Kotan is used) only last for the whole fight, at least give it some special properties. High attack power and the ability to shield you from ALL enemies (good in a multi enemies fight) would be nice. Confirmed half right half wrong, it does appear and does fight regardless of whether its first on list or not, so you mighta missed that, but it does indeed seem to disappear after each fight. Very strange, considering its supposed to last til killed or new day. I mighta missed something too, cause I see no 'returns to wood' message anywhere, and I tried it thrice. Jukai koutan has also never changed the price of any mokuton moves for me, only the reset number has. Either way, resets as a whole (except rinnegan and sage mode) are being worked on, and while I wasn't told the specifics I still daresay this is among the things that are getting changed for the better. So for now just sit tight and be patient. Edit: Was blind, jukai koutan does indeed drop the prices a little. Both Moku and Hyo needs a major fix has their are on near useless levels for resets and if above said is true it will help people who enjoy the forest. I will buff it, what does you hurt the most? Problem is, I cannot give it out for like "next 5 fights". Technical thing. 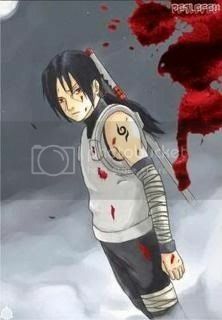 Neji boss man, shouldn't we wait to see what Phantom does with it first? Moku bunshin was one of the main points of change list for mokuton I went over with him.